Employee talent is not enough to ensure increase productivity at the workplace. Human Resource managers are of the opinion that workplace productivity is assured when talented employees have access to an efficient and stimulating workplace environment. Increase productivity and the bottom line will improve and you will get ahead of the competition. On the contrary organisations which find it difficult to enhance productivity invariably stagnate, decline or even go out of business. 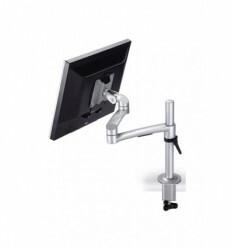 There is more to ergonomics than just improving the physical comfort of employee. Ergonomics is about safely optimising movement. 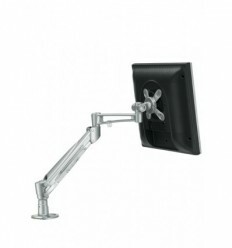 The specifics are that good ergonomic practices improve workplace productivity and employee morale significantly. The fact that ergonomics can reduce costs while improving production is standing evidence of the fact that it can positively impact the bottom line. In contemporary times ergonomics is best defined as fitting the worker to the job. When drilled down further this essentially means that the level of work must match the mental level of the employee. When the right fit is ensured, a productive and efficient employee follows. 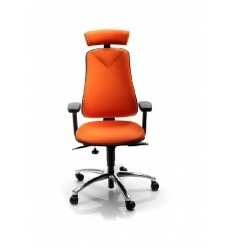 Studies have shown that the use of dynamic and adjustable task chairs can increase productivity by up to 10%. Of course all task chairs are not created equal. 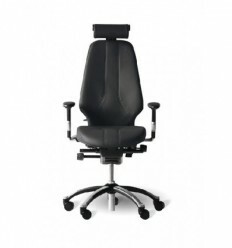 The key components are the adjustability, support but more important the movement within the chair. Having a chair that moves with the individual and supports them in a number of safe working positions and postures is crucial. 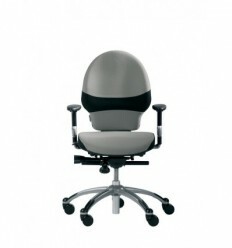 A truly ergonomic task chair will keep a constant support on the users back as they change position. The addition of this movement removes the risk of static postures and also keeps higher energy levels up, improving focus and performance. The studies show that to achieve productivity increases by as much as 10%, ensuring the chair is correctly set up for the user and chair and posture training is also provided. 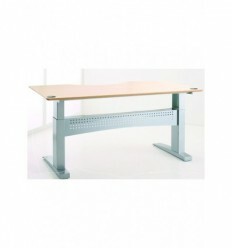 The office table is critical for it needs to have the depth and space to hold your monitor, keyboard and mouse and still needs to have adequate space for paperwork. Inadequate space to do the job will slow down work significantly and results in awkward postures which may lead to musculoskeletal problems. Companies must aim to create a work environment that enables employees to work safely and effectively. 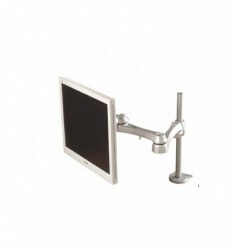 Sit-stand furniture has become more and more popular in recent years. Studies show they have a significant effect on performance as well as reducing down time. The main idea is in sedentary environments to create movement and offer different working positions. This improves blood circulation, raises energy levels and improves performance, while reducing musculoskeletal strain and risk of injury. While furniture is important computer ergonomics is a critical component. 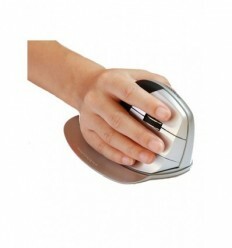 In simpler terms this is essentially about ensuring that the monitor, the keyboard and the mouse are within easy reach at all times so that movements are natural and there is an efficiency of movements at all times. This would thus minimise the probability of contracting musculoskeletal disorders like whiplash and carpal tunnel syndromes. When sitting for extended periods of time the strain on muscles can be tremendous and may thus lead to a significant decrease in productivity. The preferred option is to take frequent breaks and walk around the workplace. To illustrate when wanting to share a document with a colleague it is good ergonomic sense to walk up to the concerned person and hand over the paper in person. 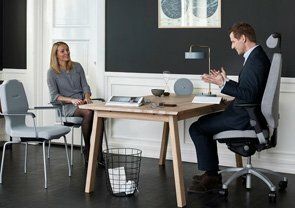 The interface between a human and their office environment can be ergonomic when the lighting and the furniture are ergonomically within the specified conditions and limits. Concurrently temperature is a significant ergonomic contributor which can lead to increase productivity in the workplace. Statistics indicate that a comfortable working environment enhances efficiency and hence productivity. Light levels, source, direction and colour of the light are also critical ergonomic factors when it comes to enhancing productivity. 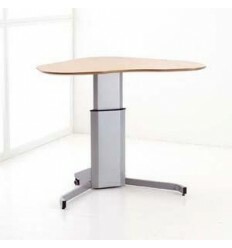 Conversely you could increase productivity and improve efficiency ergonomic environment by controlling the level of noise in the office considering that noise disturbances can decrease work productivity. Noise reduction is best achieved by educating and controlling factors such as traffic corridors in the workplace. Concurrently floors and ceilings should be strategically designed with acoustics in mind to minimise noise levels. These are just some of the more innovative and practical methods and options that one could adopt to increase productivity in the workplace and hence improve efficiency ergonomic environment options.